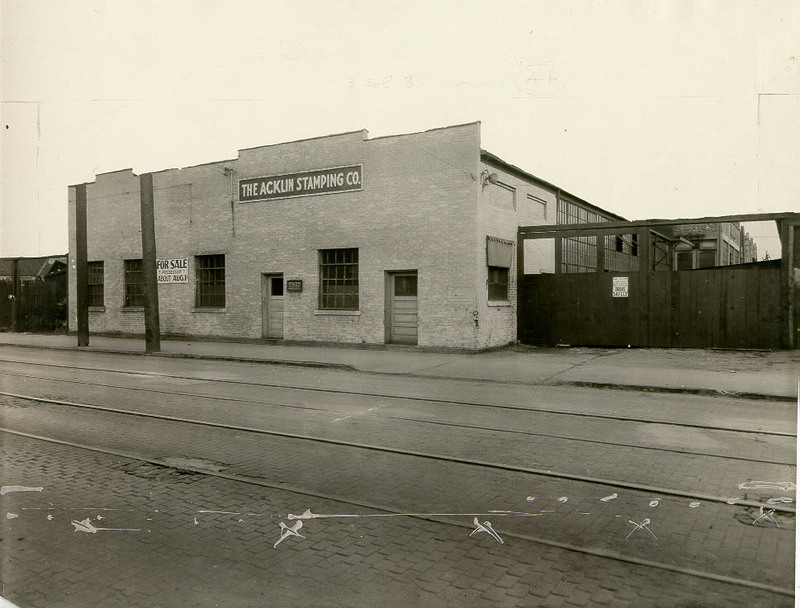 The story of Acklin Stamping, and really the story of Toledo's metal working industry, begins in 1911. The world was a radically different place in those days. Brand Whitlock, as Toledo's mayor, led a rapidly growing city of 170,000 people. Both, the city and the nation were on the cusp of incredible technological change. In 1911, horses still dominated transportation and the speed limit was a mere 8 miles per hour. However this was all about to change in the next several years with the arrival of affordable automobiles, brought to the market by a number of companies including Toledo's own Willys-Overland Motor Company. Throughout the city there was an overriding sense of optimism and hope for the future. The fundamental ways people did things were changing rapidly as a result of technological innovations ranging from the airplane to the skyscraper. However, the realities of industrial life were hard for working class men and women. The organization of major unions for unskilled workers had yet to take any effective steps towards improving worker safety or working conditions. A large number of immigrants were arriving in Toledo from around the world, primarily from Ireland and Eastern Europe. The world was becoming a busy, noisy place. Industry was quickly making Toledo one of the most prominent and important cities in the Midwest. The Libbey Glass Company's arrival in Toledo from Cambridge, Massachusetts in 1888 had given Toledo a solid lead in the glass industry. Toledo was a prime location for industry because of its proximity to natural resources and key Mid-western markets like Chicago and Detroit. With the arrival of the Edward Ford Plate Glass Company (founded in 1898) and the Owens Bottle Machine Company (founded 1903), it soon became the center of the American glass industry. These companies revolutionized the glass industry by utilizing assembly line style techniques of mass production.